Dental sealants can prevent decay in the most vulnerable areas—the depressions and grooves (pits and fissures) on the chewing surfaces of your back teeth. Fast, Painless and Proven Effective! 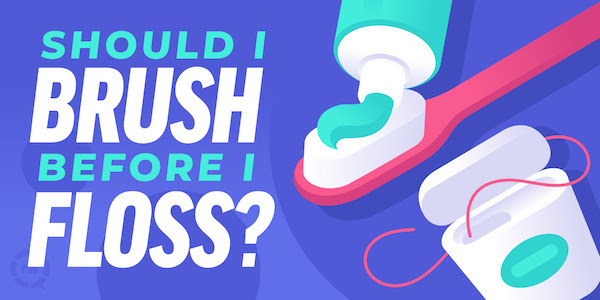 Brushing and flossing help prevent decay by cleaning the smooth surfaces of your teeth. 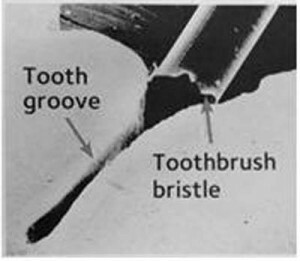 The brush brissles are too small reach deep into the grooves, but the bacteria can easily reach these areas. Sealants help prevent decay by “sealing out” bacteria and food from those impossible-to-reach nooks and crannies. They’re Not Just for Kids! Some insurance companies have recognized the adult benefits, and they have started offering coverage! Even if insurance companies do not cover the service, often the out-of-pocket expense is less then a copay on one filling! The sealant is applied to grooves and fissures of tooth surfaces, where it bonds directly to the tooth and hardens. They require no anesthsia. As long as the sealant remains intact, the tooth surface will be protected from decay. Sealants can last several years before a reapplication is needed. We Can Prevent Needless Dental Emergencies! Study authors recently showed that tens of thousands of dental patients were hospitalized over a 9-year period for a preventable condition. Your regular care in this office can prevent dental infections! A first-of-its-kind study found that hospitalizations for untreated tooth abscesses are on the rise. The study of 61,439 patients hospitalized for oral infections was conducted by the Harvard School of Dental Medicine and Boston Children’s Hospital. Their findings were published in the Journal of Endodontics. The number of patients hospitalized for dental infections—that could have been prevented with in-office care—rose nearly 42 percent! “Over 89 percent of the patients with dental infections were hospitalized after an emergency room visit, indicating a lack of regular preventive care,” noted lead researcher, Andrea Shah. Preserve Your Well-Being...and Your Wallet! 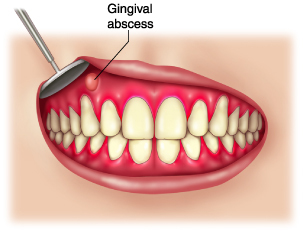 Your typical bill for an average 3-day stay for treatment of an abscessed tooth—could run you about $14,245! Yet the cost of a preventive dental exam, restorative filling or even a root canal pales in comparison! Early on, you may have no symptoms; however, an oral infection can progress rapidly. If it’s been more than six months since we’ve seen you and your family, please schedule your oral exam today!